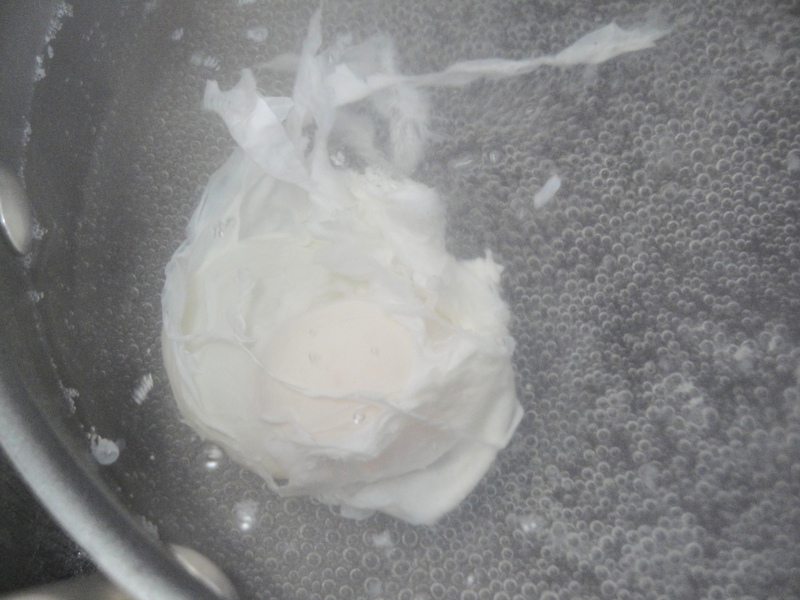 This might be a little embarrassing for me to admit but I’ve never poached an egg before. The primary reason for this, as I’ve mentioned before, is I didn’t start eating runny yolks until recently. Now that I’m really starting to understand the runny yolk goodness (or dippy egg as my friend calls it), there was no longer a reason to not attempt the poached egg. I really love Eggs Benedict but it’s the hollandaise sauce, not the poached egg, that makes me weary about making it at home. 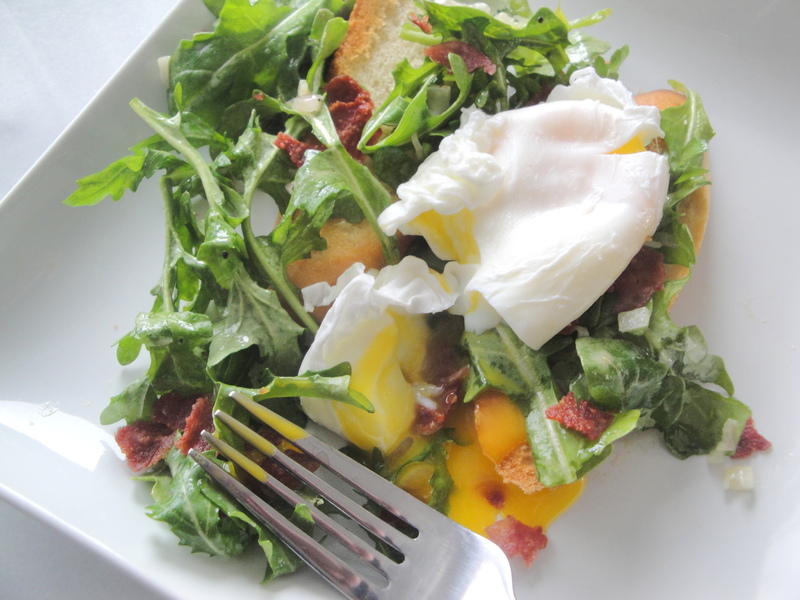 This Poached Egg and Arugula Salad Bruschetta is a perfectly simple recipe for a first-time egg poacher to try at home. 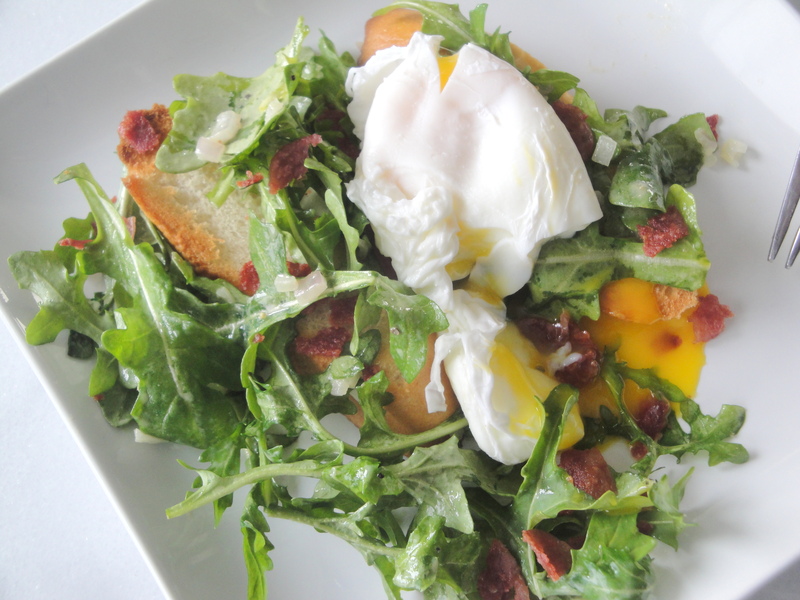 Fresh arugula is tossed with a simple shallot/Dijon mustard/white wine vinaigrette, draped over browned baguette slices and topped with crispy, crumbled bacon and a perfectly poached egg. The vinaigrette is light and the arugula’s peppery flavors pair so perfectly with the creaminess of the runny yolk and poached egg white. The bacon (I used turkey bacon) adds just another layer of flavor but vegetarians will be just as impressed with this even without the bacon. I’m a big brunch person and a big egg person but I honestly didn’t expect to love this dish as much as I do. I could easily eat this for brunch every weekend, hands down. 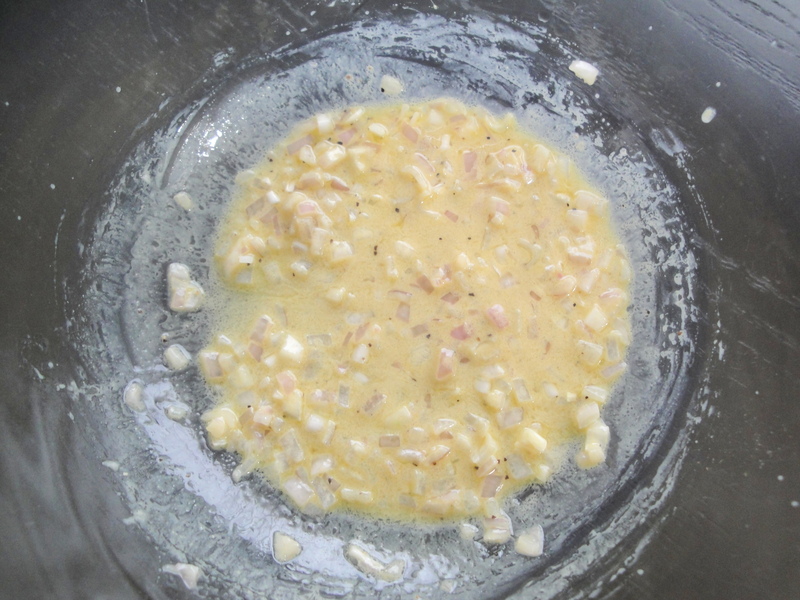 Combine shallots, oil, 1 tablespoon vinegar, mustard, salt, and pepper, stirring with a whisk. Heat a grill pan over medium-high heat (or pre-heat broiler). Lightly coat both sides of each bread slice with cooking spray. If using grill, add bread to grill pan; cook 3 minutes on each side or until toasted. 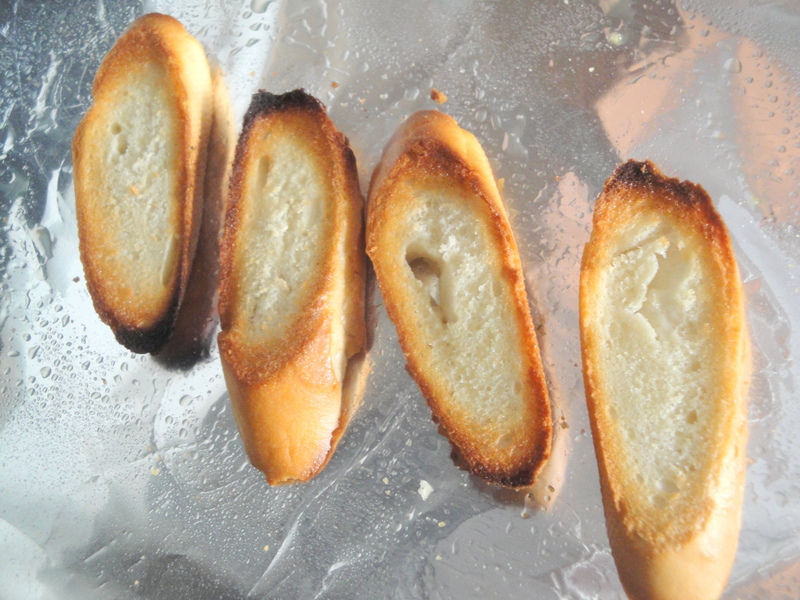 If using broiler, place bread on sheet pan and broil both sides until desired brownness (about 3 minutes each side). Add water to a large skillet, filling two-thirds full; bring to a boil. Reduce heat to medium; add remaining 2 tablespoons vinegar to pan. Break eggs into custard cups. 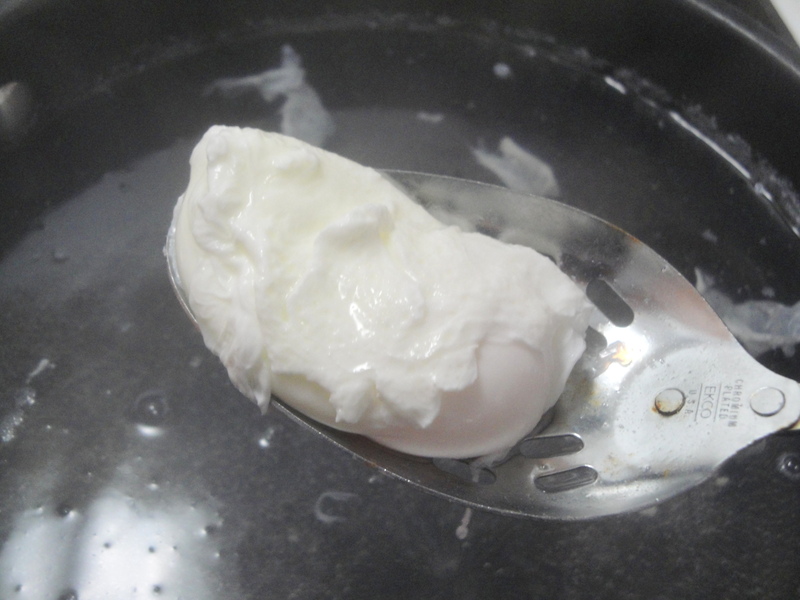 When water cools to a simmer, gently pour eggs into pan; cook 3 minutes or until desired degree of doneness. Carefully remove eggs from pan using a slotted spoon. Place 2 toast slices on each of 4 plates. 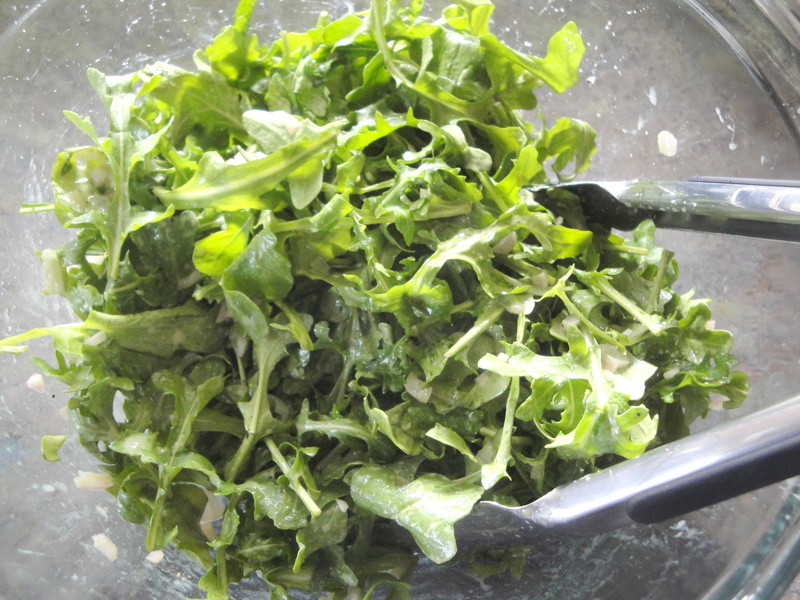 Add arugula to oil mixture; toss. 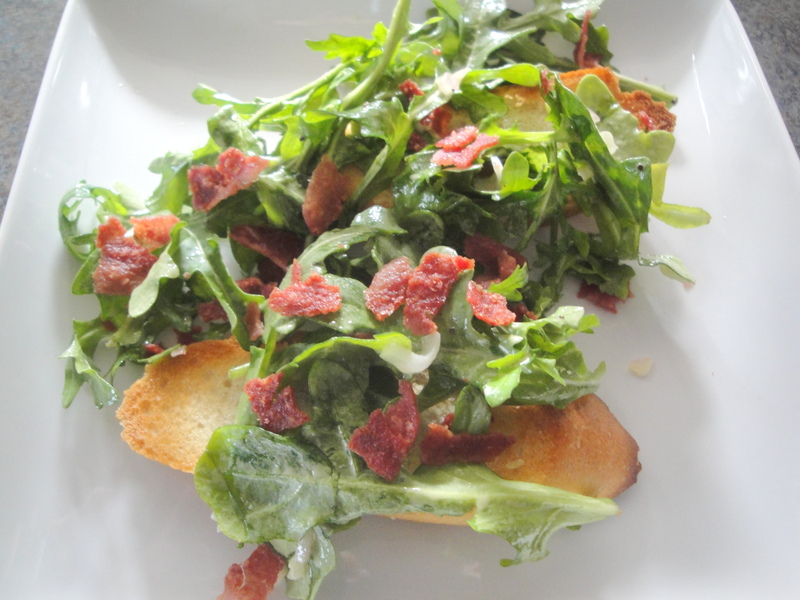 Arrange about 1 cup arugula mixture on each serving; sprinkle evenly with bacon. Top each serving with 1 egg. Serve immediately.